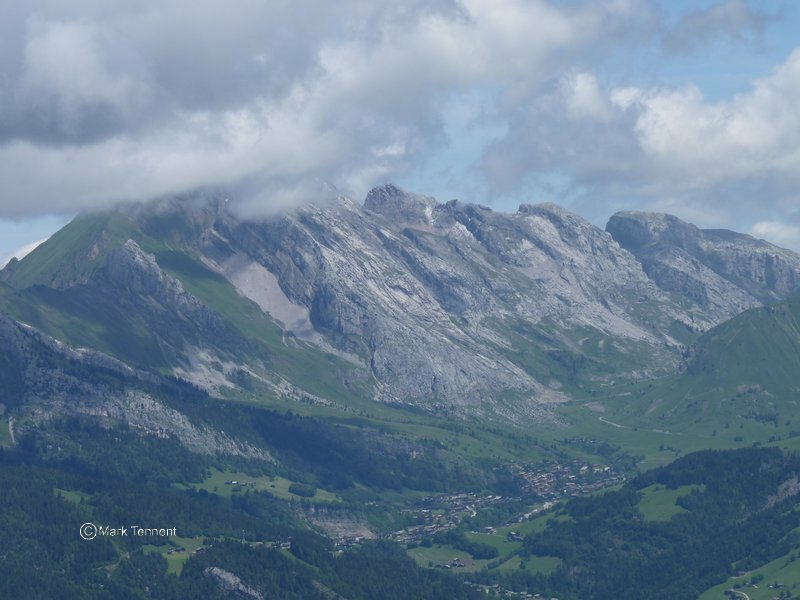 3 days walking in the Bauges and Aravis mountain ranges. Comfortable 3 star hotel close to the shore of Lake Annecy. Pick up from Geneva Airport on Friday evening and benefit from an unforgettable long weekend break. 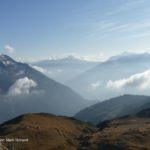 Join me on a guided walking weekend holiday in the French Alps. This walking tour is based close to the shores of the beautiful Lake Annecy in the Haute Savoie in the heart of the French Alps. Our base is normally the Hotel Les Grillons*** close to the village of Talloires. The family run hotel boasts an outdoor swimming pool. You are just a few minutes walk to the lake and the chance to swim in the clear waters of the lake Annecy. A great way to relax after a great days walking in the mountains! 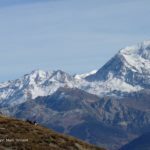 There is a great range of hiking available to us for the guided walking weekend in the Alps in the surrounding Aravis and Bauges mountain ranges. Both mountain ranges are part of the limestone pre-Alpes. The Bauges mountains have been recognised as a Geopark by UNESCO. On the West side of the Lake Annecy rising from the outskirts of Annecy is the whale-back shaped mountain of le Semnoz. It’s wooded covered flanks give way to alpine pastures on the broad summit summit ridge. 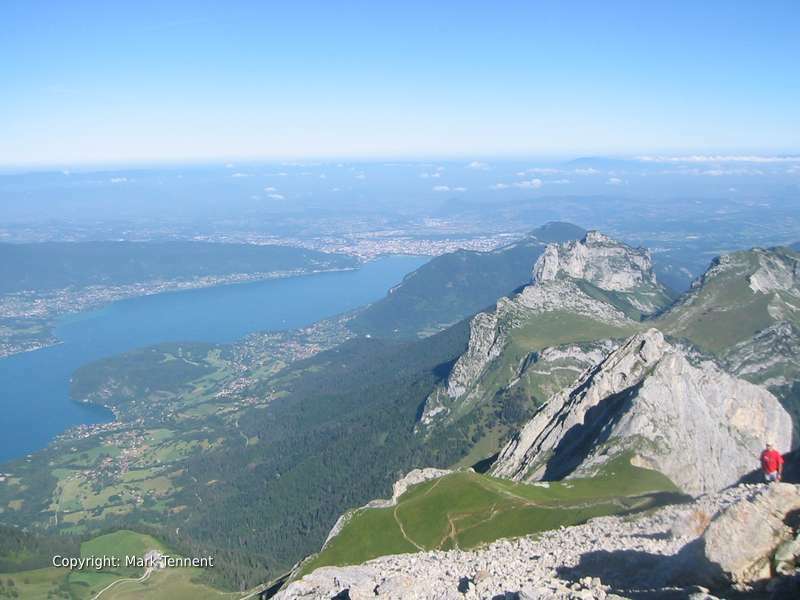 You will have superb panaromic views over lac d’Annecy past La Tournette and beyond to the imposing bulk of Mont Blanc. 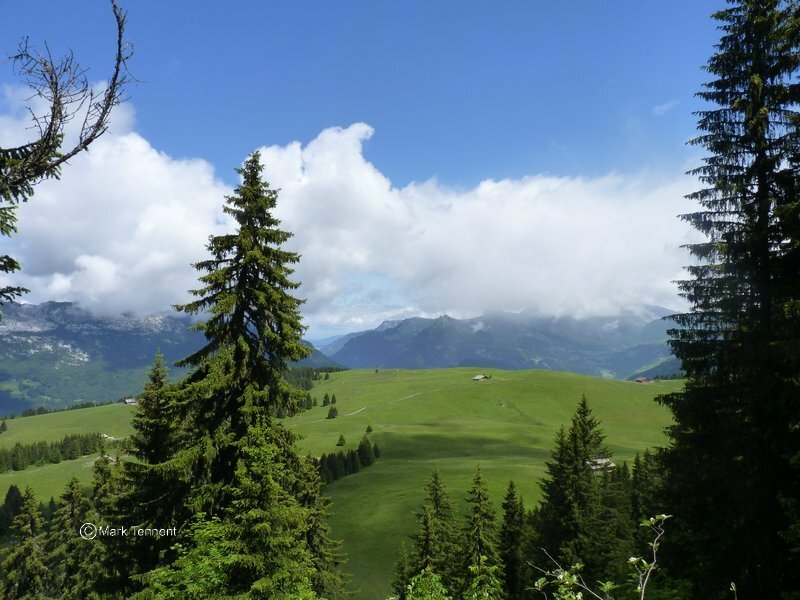 In the spring, summer and autumn the alpages of the Semnoz are home to herds of cows, bells tinkling. Alpine flowers carpet the hillside. The milk from the cows is used to produce one of the famous local cheeses, Reblochon. To the East is the mountain range of the Aravis and the resorts of Le Grand Bornand and La Clusaz. This side of the lake is dominated by La Tournette (2351m) and the Dents de Lanfon (1824m). It is possible we may climb to the summit of La Tournette during the holiday. Other options include passing by the Col des Nantets to reach the Roc Lancrenaz (1667m) and maybe the Pointe de Talamarche (1852m). 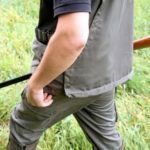 Our guided walking weekend follows in the footsteps of the French Resistance on the the Plateau des Glières. The plateau’s alpine pastures are as you would expect home to farmers grazing their flocks. A walk here can explore the plateau and the Montagne des Auges that borders one flank. It was the scene of intense fighting at the end of World War II. The Germans were determined to defeat the French Resistance who used the area as a base to launch attacks. The British parachuted over 45 tons of weaponry to the resistance. The National Monument to the Resistance stands sentinel in memory to those who gave their lives to free France. Annecy is sometimes called “The Venice of the Alps”. The old medieval section of Annecy is traversed by the river Thiou and the canal du Vasse, St Dominique. Overlooking the town in the Chateau d’Annecy once the home to the Counts of Geneva. You can enjoy strolling through the old pedestrian streets with archways dating back to the 17th and 18th centuries. Built in the middle of the canal du Thiou is the Palais de l’Isle. Built in the 12th century it is currently the Architectural Interpretation and Heritage Centre for Annecy. In previous times it was an administrative centre, law courts and even a prison. The park of Le Paquier and it’s vast open lawns gives you breathtaking, unimpeded views across the lake. Every year there is the Fete du Lac which takes place on the first Saturday of August. It’s an incredible display of fireworks, fountains, lights and music. It attracts around 200,000 spectators. Annecy is home to the Prefecture for Haute Savoie, the administrative centre for the department. Friday evening – Arrive at Geneva airport and I will be there to meet you at arrivals. You can relax now and in about 40 minutes we will be at Annecy. Saturday – Wake up close to the shores of the turquoise waters of Lac d’Annecy. Enjoy a great cup of coffee, fresh croissants and freshly baked bread. Mountain walk on La Tournette overlooking the lake and with views on a clear day to Mont Blanc. Refresh yourself with a chance to swim in the pool or even the lake or simply bask in the sunshine and soak up the atmosphere. 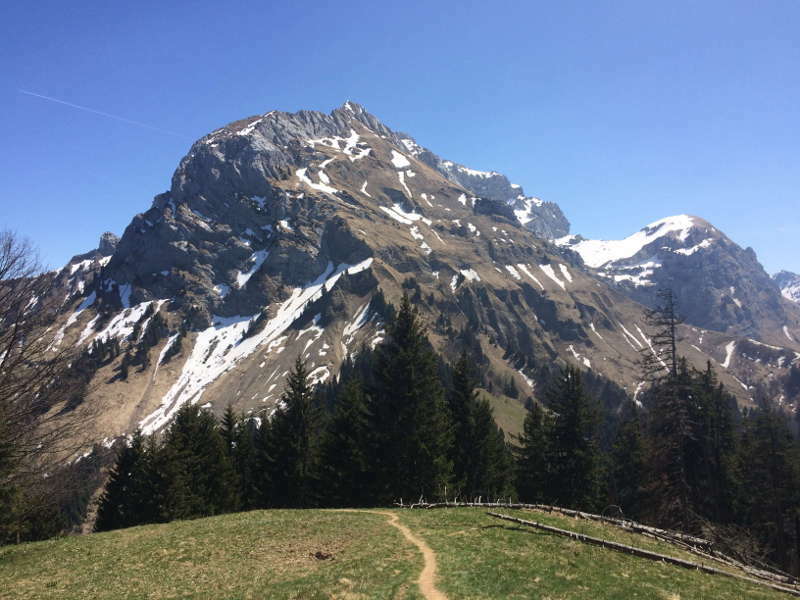 Sunday – A walk in the Aravis exploring the Parmelan or the Plateau des Glieres home in WW2 to the French Resistance. 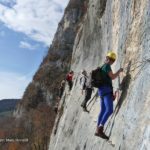 Monday – A walk on the Semnoz mountain close to Annecy and a chance to discover the alpine pastures and the local “Reblochon” cheese. Return to the hotel and transfer to Geneva airport for an evening flight. Duration: 3 days walking / 3 nights Min / Max Group size: 2 – 8 (Private group departures please contact me). Meals: Dinner, Buffet breakfast and picnic lunch. 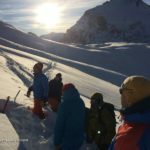 Guiding by Mark Tennent qualified accompagnateur – Brevet d’Etat alpinisme; accompagnateur en moyenne montagne.